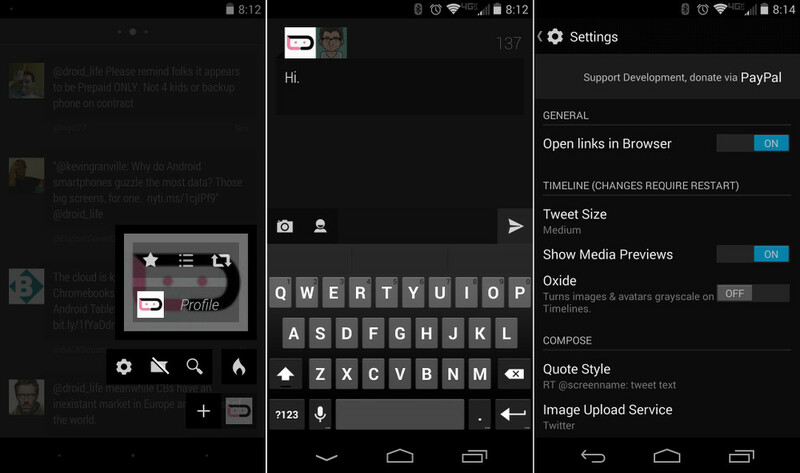 Carbon for Android v2.0 is now live on Google Play for interested parties. As mentioned in a teaser post about the substantial update, this does indeed include a new visual style (read: more blackness), new timeline design, a Quick Timeline feature, clickable images/videos in the timeline, other tweaks here and there, and a bunch of bug fixes. It’s certainly different, though some things will take some getting used to. Since I’m a daily user of Carbon (have been for months), I can tell you that the new Quick Timeline feature is going to be used frequently by me. Once set to my lists, a simple swipe from the right edge pulls all of them out for easy access. It reminds a bit of how easy Falcon Pro was to use. I’m also really liking Carbon’s attempt to be full-screen or in Immersive-like mode all of the time. When you are in Carbon, you are in Carbon and supposed to be thinking about nothing else but Twitter. At least that’s how it strikes me now, with notifications hidden and on-screen navigations buttons gone. 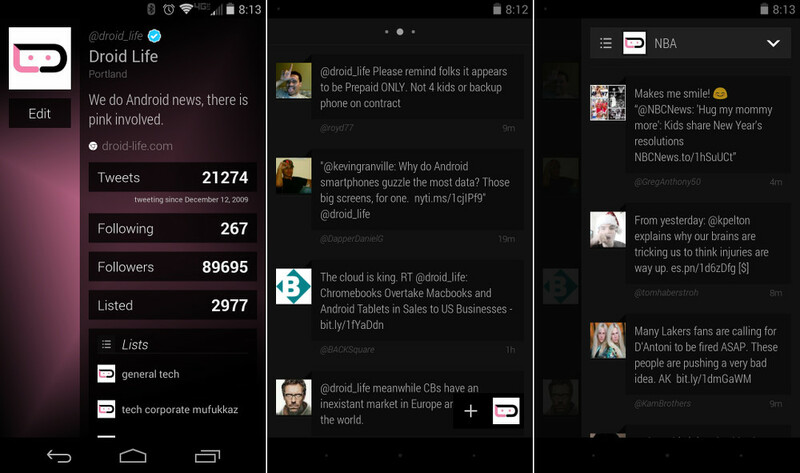 With that said, the all new, very black theme is nice but different. The UI is more minimal than before, which when mixed with more black, has made it initially a bit difficult to get used to reading. I’ll get used to it I’m sure. The other new benefits outweigh the blackness. – Vine videos are now fullscreen and loop. – New Conversation style on Tweet Screen. The new update is available on Google Play for free.